The month of February marks an important mile stone for Ubar Grotto. 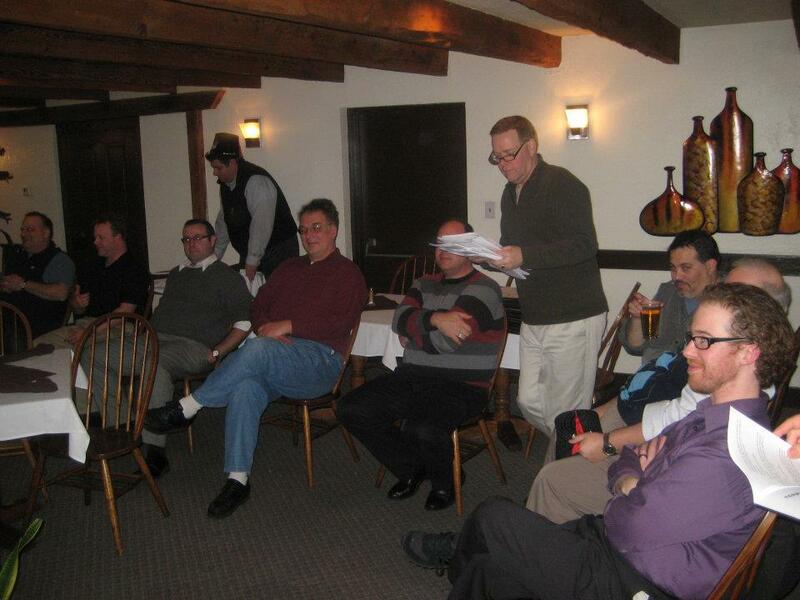 It was on February 27, 2011, that the first organizational meeting was held for the group that would become Ubar Grotto. In less than a year Ubar was organized, constituted, has grown steadily in membership, and been featured in the PA Freemason. What a year it has been! In true Ubar style, the February Stated Meeting was another occasion for fun and frivolity amongst the Prophets of our corner of the Realm. The evening started in the usual way, with toasts, plenty of food, and adult beverages. The members, old and new alike, chatted with each resulting in new friendships all around. The usual banter could be heard around the tables, with no member being safe from a good natured ribbing. This jovial spirit also resulted in a fantastic act of charity by the members. Early in the meeting the Monarch spoke about a fellow Prophet Josh Anderson, the current Monarch of O-Ton-Ta-La Grotto of Toledo, OH. Josh has a son who is afflicted with autism. The doctors have told Josh that his son would benefit significantly from an iPad. However, just like many families, the economy did not leave the Anderson family in a place where they could afford such a purchase. Josh has been trying to raise funds through the sale of autism awareness items but was still a long way off from being able to purchase the much needed device. This is where Ubar Grotto comes in. After hearing this story, the members passed the Lantern and made donations to Josh’s cause. Once all was said and done, it was discovered that the Prophets donated a total of $150 to the cause, which was sent to Josh immediately. The members of Ubar Grotto have never met Josh in person – they only know of him from Facebook. The only question they asked before making the donation was “Is Josh a good guy?” When the Monarch responded with a resounding yes, the donations flowed freely. 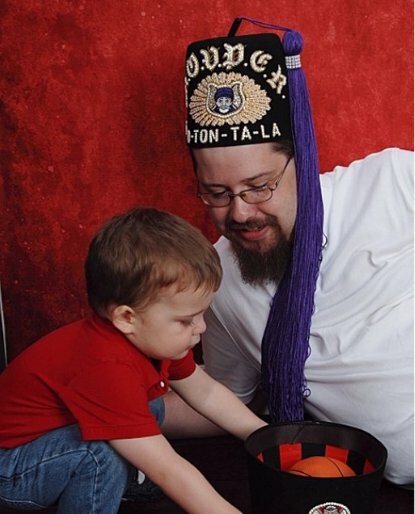 Thank you to the members of Ubar Grotto – you have truly made a difference in a Prophet’s (and his son’s) life! When it was time to get down to business, several key issues were brought under consideration by the body. The group assembled discussed the need for a larger meeting space and several options were offered. After some debate it was decided that Ubar Grotto’s new home will be the Spring Garden Conference Center in Middletown, PA. Being just ten miles from the current meeting place, this new facility can hold three times as many people and still provide the amenities desired by the members. Ubar will begin meeting at this new facility in March of 2012. The other big discussion came when the day of the meeting was brought up. Some of the members of Ubar have on-going commitments on the second Sunday of each month, but are free the other Sunday’s. After a short discussion, it was voted to draft a change to the by-laws to allow Ubar to meet on the fourth Sunday of the month. As this is a change to the by-laws, a draft of the change will appear in the next notice, to be voted on at the next stated meeting. Following the usual business, Ubar opened for the performance of the Ceremonial of the Order, with Prophet Tom Labagh, Vizier, handling the ritualistic work. This class of new Prophets was our largest to date, but exact numbers cannot be given due to the current contest between Ubar and Cinema Grottoes. The new members all seemed excited by their membership and are looking forward to future meetings. Ubar will perform the Ceremonial again in March, with what looks to be an even bigger class of new members! Thanks go out to everyone who came to the meeting, along with a warm welcome to our new members!